It’s another winner from Tim McGraw. We’re not sure how many songs will be released as singles from Emotional Traffic so we’re going to review a couple of them. Here is a preview of one of the good ones from the album, Halo. 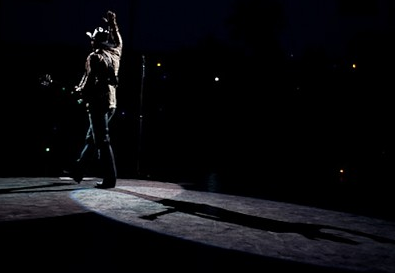 Tim McGraw has this mysterious quality about him. The songs on this record and on past records have had this urban influence. There is something very smoky and gray about these records. I’m not sure how else to describe them. They aren’t quite pop, but they aren’t quite country. Tim has always had this enigma quality about him, but he always finds a way to connect with the large country audience. Halo is a great song. The song is about the struggles of a man and woman. I’m not sure what the lyrics are about beyond that. There is something mysterious about them. I can’t quite figure it out, but maybe that’s the point. It seems the woman is either being coy with the male in the song or she’s the one that’s saying she’s the angel to the guy’s devil. That could be as well I guess. Either way, this song is cool. I’m a Tim McGraw fan. The man creates some of the best modern day music out there. It’s finally great to have this record out in the public because all the songs are great. I’m not quite sure what the fuss was about getting this out sooner, but it took too long. The electric guitar is nice in the background. I’m a fan of the classic ’80s rock and anytime a country song can bring a little of that high screeching guitar into the mix it’s cool. Check out this new one from Tim McGraw. I’m not sure if it will see the light of day as a single. Tim McGraw’s path is never certain, but I think we’ll have a few more singles from this record before Tim is truly out on his own for good.